Muskingum County will always be a special place to J.W. “Bill” Straker. He has lived in Zanesville since 1925 and the area has afforded Straker a very good living, which he is generously sharing back with the community. Straker grew up in Zanesville where his father owned and operated a local oilfield supply business called Zanesville Tool Company, later changed to Buckeye Supply. Straker earned a degree in petroleum engineering at Ohio State University in 1943. His real interest was not in the retail supply business, so in the early 1940s during his college years, Straker approached a local oil production company called National Gas and Oil for a summer job. When National said they were not hiring, Straker then offered to work for free just for the experience. The next summer he went back and National paid him fifty cents an hour. Buckeye Supply was a stable business and introduced Straker to the oilfield and his father’s business approach. In 1946 Straker founded the Oxford Oil Company. In its early years Oxford found success buying wells, salvaging equipment and finding oil in the clean out of old wells which allowed the company the ability to start drilling its own wells. Straker was meticulous in his operations, forward-thinking, frugal and Oxford’s books were balanced to the penny. A longtime Oxford employee says there was probably nobody in the state that was more forthcoming about paying its bills than Oxford. The drillers could come in the day they finished a well and get their check. That meant a lot to the people working with Oxford and others in the industry. Reserved in nature about his business plans and sharing any operating techniques, those close to Straker describe him as the dictionary definition of work ethic. Often sacrificing family time for the business, Straker would do whatever it took to provide for his family. He and his wife Mary Helen had four children and from a young age he instilled in them the value of hard work. It was his way of life to empower others to want to improve themselves and make it on their own. His only son John took over Oxford with that same work ethic years later. Straker served as president and general manager of Oxford until he retired in 1986. In addition to operating Oxford, Straker remained involved with National Gas and Oil. After getting his first taste of the industry there, National and Oxford did business together regularly. When National’s president retired Straker became the president and CEO in 1973, and was elected chairman of the board in 1978, serving in that capacity until he retired in 1991. Through decades of successful drilling operations, ultimately becoming a top driller in the state, Straker became financially successful. Straker was a man of true integrity and unwaveringly devoted to his business operations; yet he kept his accomplishments to himself. Straker has never sought fame or recognition in his business dealings, and the same is true for his charitable giving. He simply feels it is most important that the benefits of his giving go back to the community where he was able to build his success. 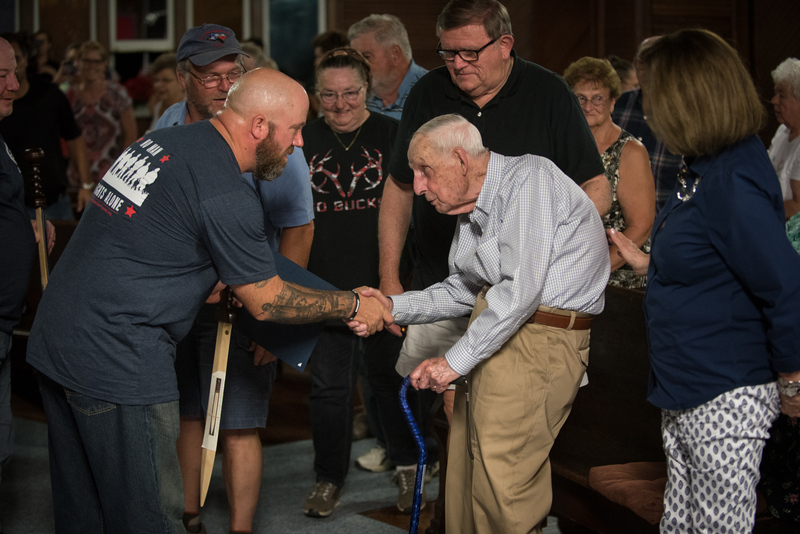 But after celebrating his 96th birthday he is now wrapping up his largest single contribution, a gift to intended to help veterans affected by war. 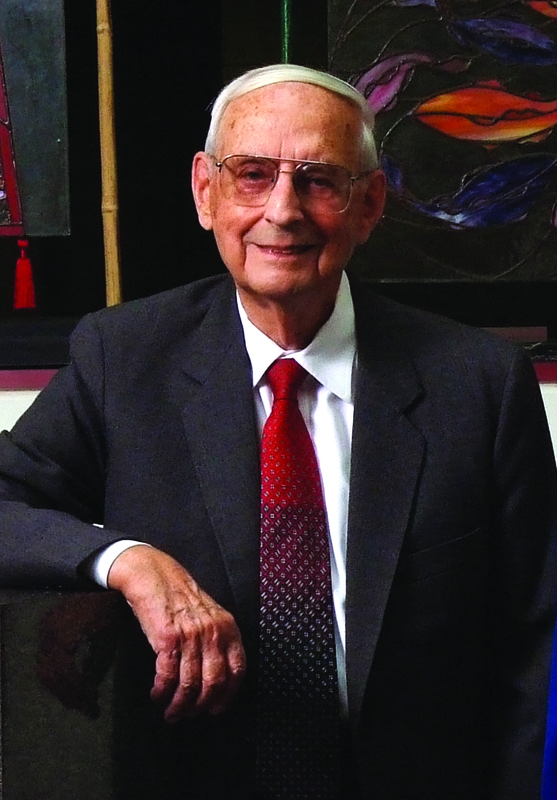 In 1943 Straker had finished his petroleum engineering degree at Ohio State through an accelerated program, immediately following he entered the U.S. Army Corps as a commissioned officer in the occupation of Japan after World War II. Though he is a veteran, the guiding reason he choose a project to support veterans was the need he saw and his desire to want to help do something about it. Over three years ago Straker discovered the California based Mighty Oaks Warrior Program when reading an article in Forbes magazine. The group’s mission is to help active duty military and veterans facing posttraumatic stress disorder. The program serves as a means of bringing together people who face similar issues and helps them focus on recovery and identifying their purpose moving forward. The program thrives on an experience-to-experience model where graduates of the program become group instructors, rooted in faith and providing an open forum not found in clinical environments. After sending his daughter Susan to visit the original site in California, it became clear to Straker that the Midwest was lacking this type of program and he has since focused his efforts on creating a facility capable of hosting the program in Ohio. He came up with the idea to build a site at The Wilds, a private non-profit safari park and conservation center just outside his hometown in Cumberland, Ohio. Straker has been a supporter of the Wilds from its inception and saw natural potential at this site. 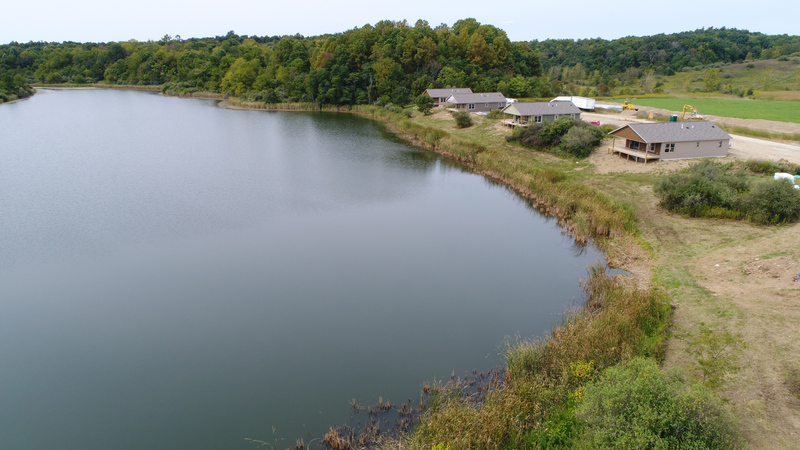 To implement the Mighty Oaks program at The Wilds, Straker is personally funding the construction of seven cabins, along with a community style lodge that will hold class and meeting rooms, a kitchen and laundry facility. The site is located on a beautiful lake, within a few minutes access to fishing, horse back riding and animal safaris, all within a purposefully isolated setting that has very limited Internet access. The combination of these factors are an advantage to the program that host groups for up to a week, the easy access to activities are key to helping attendees quickly establish rapport. The Wilds is also directly benefitting by allowing this program, with rights to rent out the site for public use when it is not occupied by Mighty Oaks. In September of 2017 the program held a trial run for the program on The Wild’s property while the cabins were under construction. Construction of the project was completed in December 2017. The first official group of attendees is expected in the spring of 2018. In the late 1980s the notion of starting a foundation was something that Straker began considering. In 1994 the J.W. and M.H. Straker Charitable Foundation quietly became a reality. Straker and his wife created the foundation and their daughter Susan Holdren was chosen to direct it. Since then the Foundation has given numerous charitable grants to fund capital projects throughout Muskingum County in excess of two million dollars to date; with most of these the contributor has remained anonymous to the public. 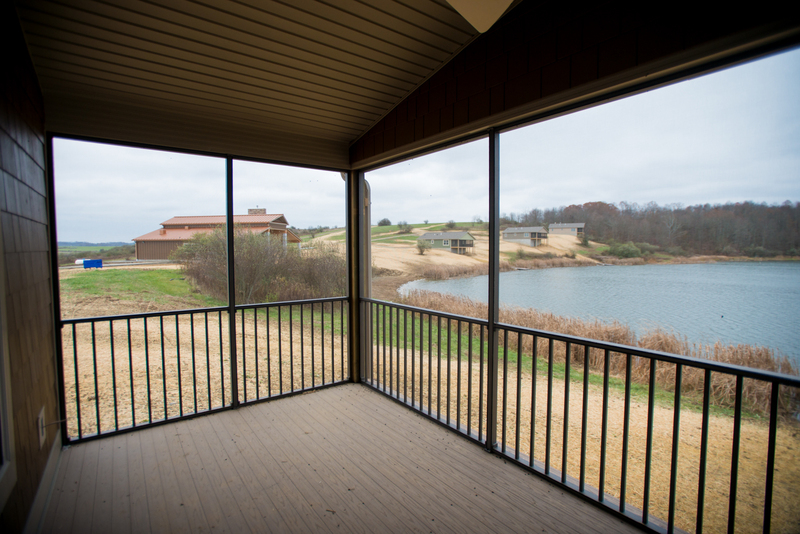 Straker’s ultimate view is that he made his money in Muskingum County and the area has afforded him a very good living, he feels strongly that the benefits of that money should stay in the community. The Straker family is encouraged to sit on the board of the charitable foundation, which all of the children do and his grandchild are also welcomed with the stipulation that they must be college graduates or over the age of 25. It has been extremely important to Straker to start the foundation and his children have encouraged it in order to help guide them in where they want their funds to be distributed. Straker’s view of his legacy is replicable to that of the Warren Buffet mantra of giving your child enough to live, but not so much that they do nothing. In running the foundation, Holdren said there have been some surprises along the way on what her parents want to put their money into. The projects lean towards being mostly brick and mortar, with primary focus areas in education, the arts and children. There are always more projects than there is money and they have set guidelines for choosing projects. Requirements of accepting a grant from the foundation considers the narrative of what to accomplish, how it will be evaluated and reported on the following year. The project with Mighty Oaks strays a bit from the foundation’s typical focus areas of giving, and is one that Straker has personally led. The foundation has participated in the project, but the majority of the funding has come solely from Straker himself. It is something that is dear to him and he is willing to openly talk about. This fact alone has allowed for some added publicity, in hopes of reaching more veterans. His family is proud of the legacy he is leaving personally as well as professionally and leaving a mark unlike many people are able to do; all in thanks to hard work in the oil and gas industry and smart judgment.